As part of the welcoming of new students, the ladies team will once again be hosting one of their popular ‘Come and Try Rugby’ training sessions at the clubhouse from 19:00 on Monday. Open to anyone (not just students) who haven’t played rugby before, the session is a fun and friendly introduction to our fantastic game where you’ll learn about passing and evasion skills in a safe and welcoming environment alongside a host of other first timers and assisted by the ladies team themselves! The event and details can be found on Facebook, so go in a click on attending and don’t forget to share it out with your friends and anyone who is interested so we can get as many as possible to join in and have a awesome time! This entry was posted in Events, News, Women's Team and tagged Come and Try Rugby, Ladies, Lugi, lund, rugby, students on August 26, 2015 by Ross. Lugi make an impact at student arrival meeting! Today our club was at the international students information meeting, saying hello to all the new exchange students who have arrived for the semester. Following some fantastic effort from those in attendance, the club managed to sign up 137 names of interested new arrivees, who will get a follow up email about the club and training times in the next few days. For those that are new to the club who we saw today, it was fantastic to meet you all and we hope you have a look around the website and find some of the information that you want. Our training times can be found here, so don’t hesitate to come down and join us as we welcome people of all size, shape and skill levels. Hope to see you down at the club soon! 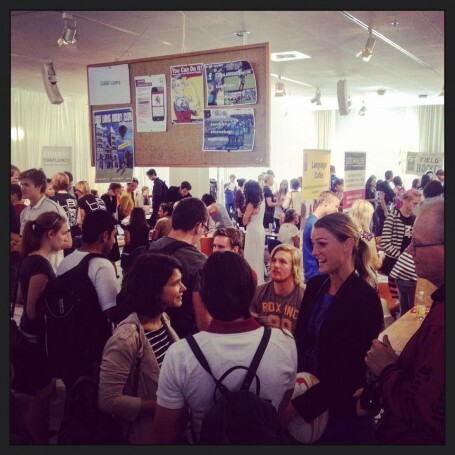 This entry was posted in Events, News and tagged international, lund, lund university, rugby, students on August 24, 2015 by Ross. 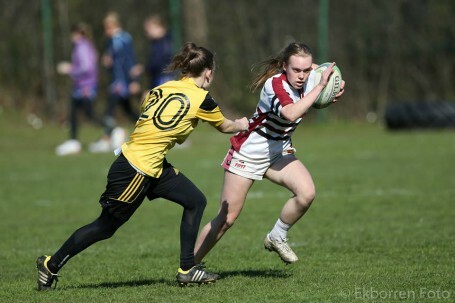 Following a selection camp in Jönköping last weekend, the club is delighted to announce the selection of Sandra Olofsson to the U18s 7s squad that will take part in the European Championships to be held in Liege, Belgium next month. 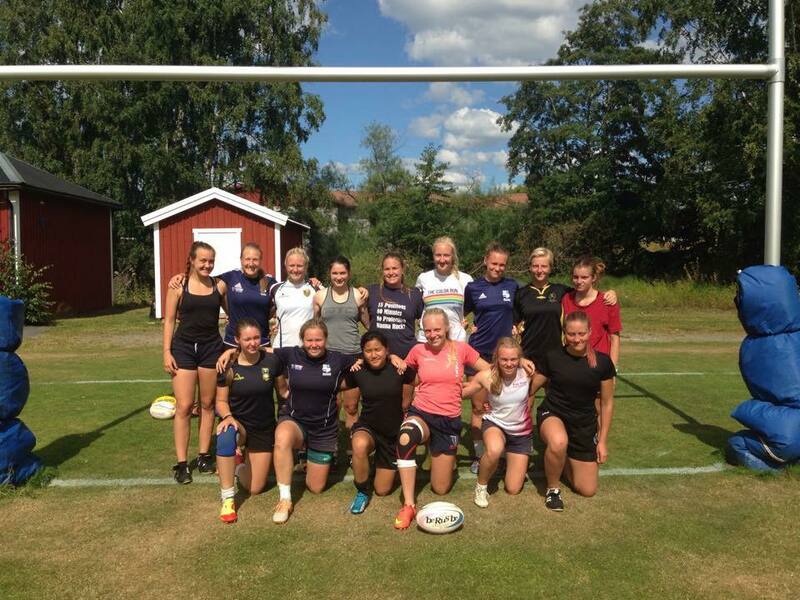 Following Sweden’s appearance and hosting of the championship last year in Enköping, the union have continued with development of the U18 girls through the national talent development program, which features regional and national training days. Sandra has been consistent presence at these camps in the south as well on the training pitch in Lund and is being rightly rewarded for the time and effort she has put into her training with her selection. The competition in Belgium will be tough as the team will take on some of Europe’s traditional women’s powerhouses in England, Ireland, Russia and Netherlands alongside a host of up and coming nations on the rugby scene. The full lineup can be seen on Rugby Europe’s webpage. We wish Sandra and all the girls a big good luck in their endeavours next month and we will be sure to bring you as many updates as possible. 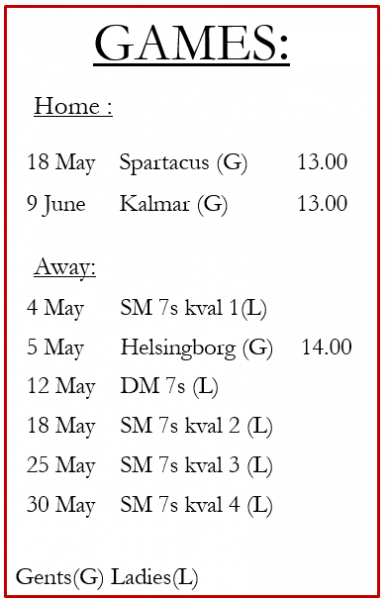 The full U18s team selection can be seen on the Swedish Union’s webpage. 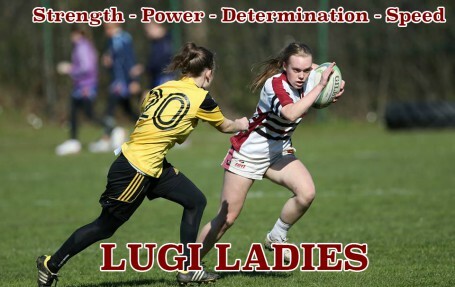 This entry was posted in News, Women's Team and tagged 7s, european championships, Lugi, lund, national team, Sweden, u18s on August 20, 2015 by Ross. Coach Ross Watson working on the kids level. This week the club has been working with the Lunds Giants ice hockey club to bring over 130 kids a taste of rugby. 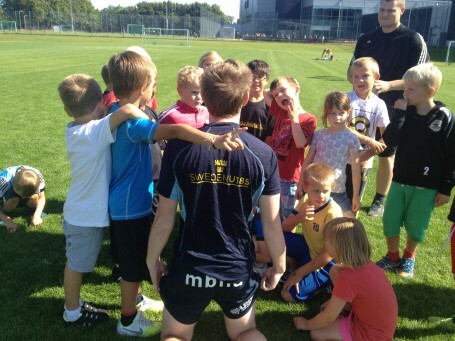 Over the week and spanning six different training sessions the club delivered an hour of fun rugby activities to groups of children aged from 7 to 11 years old. The sessions were executed by team members from the youth, gents and ladies sections, who’s volunteer work made the trainings possible as well as fun for the children. 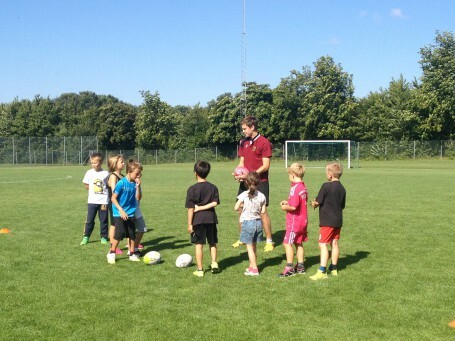 As the club continues to grow, especially within the younger age groups, the importance and good work of our outreach to local schools such as Spyken and Polhemskolan in Lund as well as our new partnership with the Lund Giants cannot be understated. We would like to take this time to thank those entities which allow us to show more people rugby and we look forward to having more opportunities in the future. Volunteers – Ida Tadic (kids trainer & ladies team), Elizabeth Sonnenholzner (ladies team), Viktor Cordes (men’s captain), Truls Sassner (youth team), Tobias Magnusson (men’s team), Sebastian Hylander (men’s team), Tadas Valutis (men’s team), Sandra Olofsson (ladies team) and Ross Watson (club coach). Men’s player Tobias Magnusson showing the children one of our games. This entry was posted in News and tagged community, Lugi, lund, lund giants, polhemskolan, rugby, spyken on August 16, 2015 by Ross.